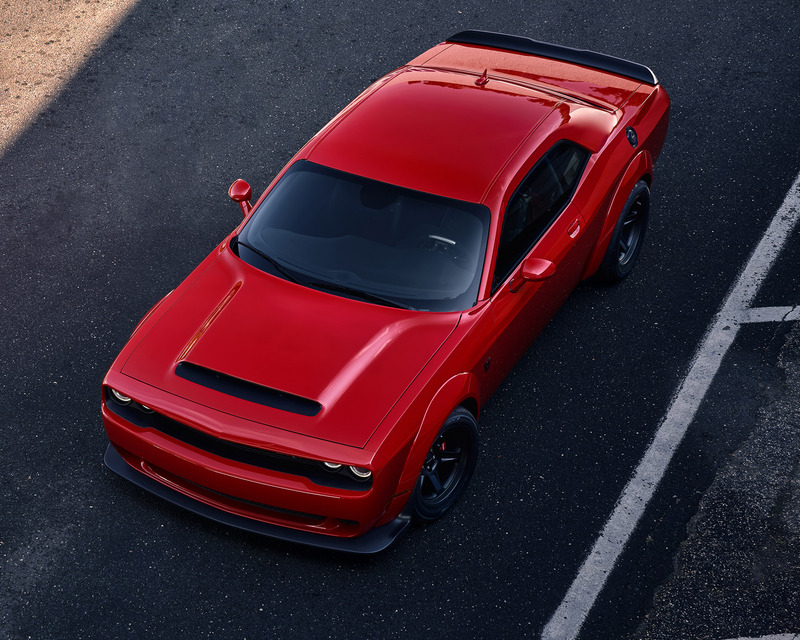 After countless teasers, Dodge finally has revealed the Challenger SRT Demon in all of its glory. And glorious it is. This street-legal drag racer not only has more horsepower than any V8 production car ever, Dodge says it’s the fastest production car from 0 to 60 too – at least until Elon Musk tweaks some software on the Model S P100D, I suppose. The Demon is powered by a unique 6.2-liter supercharged HEMI that pushes out a backbreaking 840 horsepower, and 770 lb-ft. of torque. While the engine shares architecture with the Hellcat, pretty much everything has changed other than the cylinder head. Boost pressure has been increased to 14.5 psi from 11.6 psi, the rev limit is now 6,500 RPM vs 6,200 RPM, it has dual fuel pumps, a larger airbox, and cooling upgrades. Most significantly, the Demon is able to redirect the car’s air conditioning system to help keep the temperature under control. 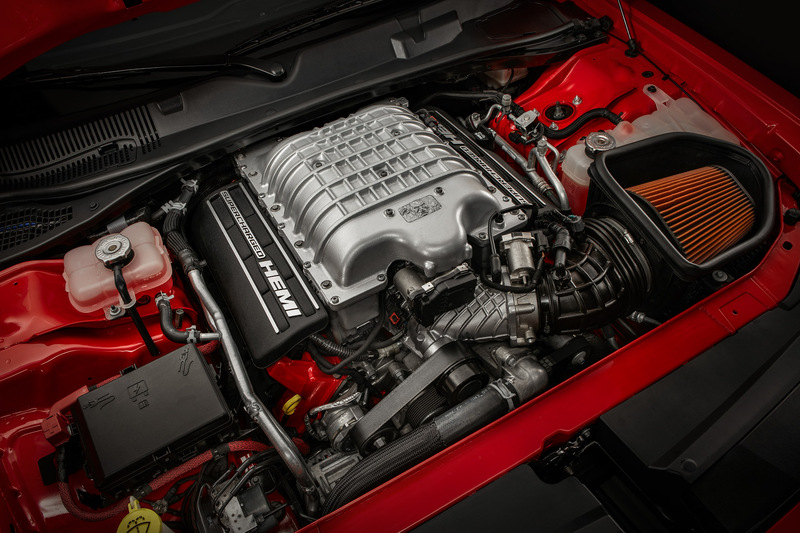 The SRT wizards also equipped the car to be able to run on 100+ octane gas for track runs, while still being compatible with 91+ octane premium street fuel. 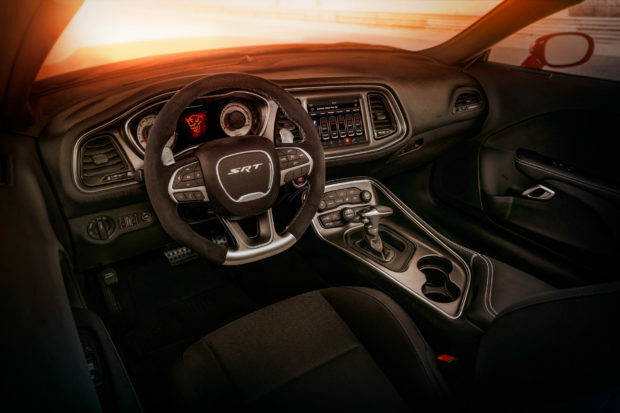 A special feature called TransBrake can lock the output shaft of the 8-speed automatic prior to launch, allowing for higher revs at launch, as well, as well as a Torque Reserve feature which increases airflow and supercharger revs prior to launch. Riding on massive street-legal 315/40R18 drag radials, the whole shebang can rocket to 60 mph in just 2.3 seconds. It gets to 30 mph in 1 second flat, while pulling up to 1.8g. It’s also capable of popping a wheelie once you swap the fronts for narrow-runners at the drag strip. 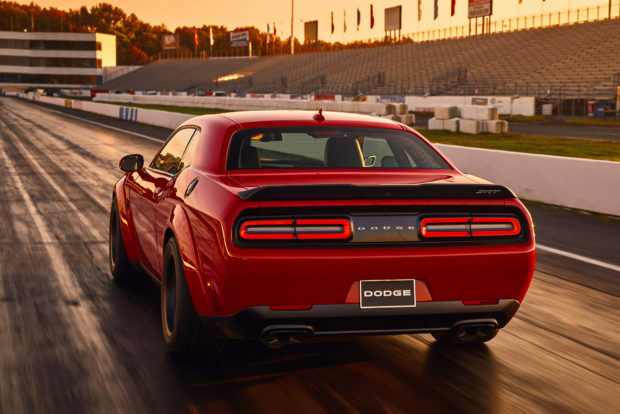 It can also do the 1/4 mile in an NHRA-certified 9.65 seconds at 140 mph, but if you were thinking about trouncing everyone else in the production class – the NHRA has already banned it from their drag strips. Though it may be possible by jumping through some hoops and installing a roll cage. 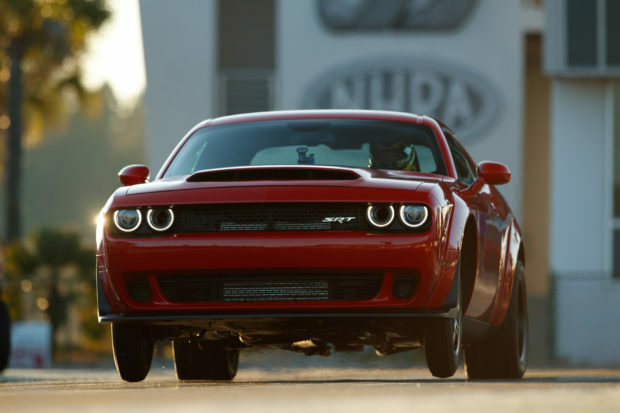 With all of its power, it doesn’t really matter that the Challenger is still quite a heavy car. But every pound lost helps achieve even more speed, so the Demon comes standard with its front passenger and rear seats removed. Dodge is happy to put them back in for just $1 each. 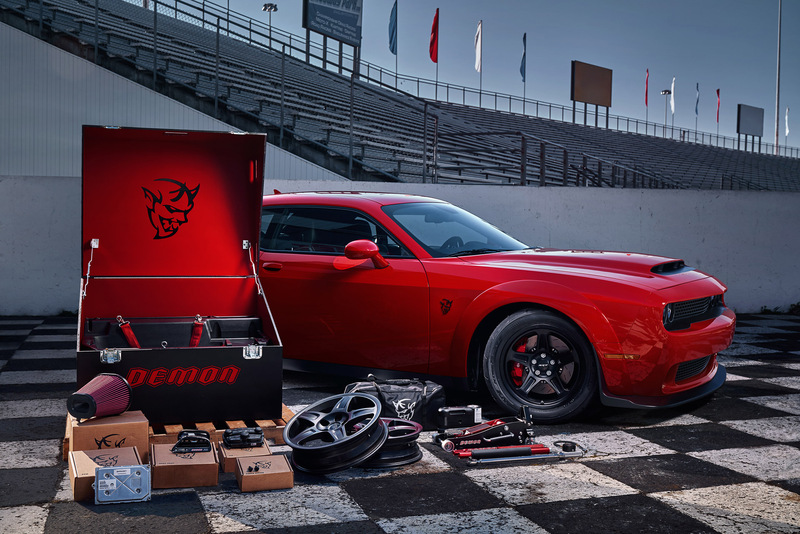 Buyers can also order a special crate that comes packed with all the tools and accessories needed to get the most out of the Demon at the dragstrip, then to put it back the way it was for the street. 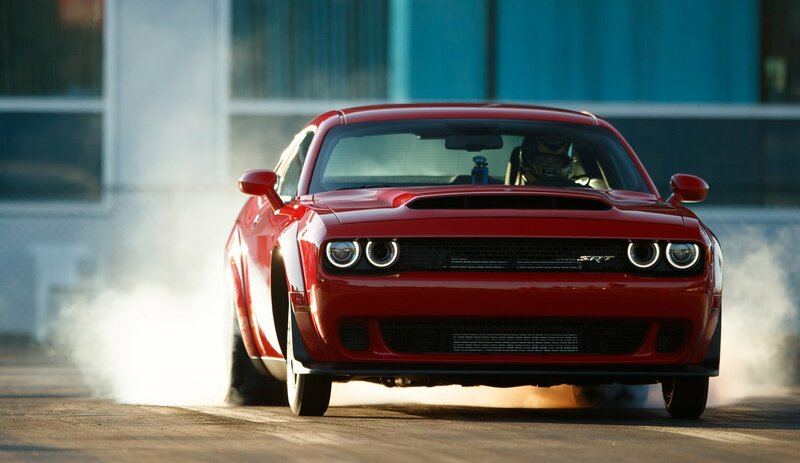 If you want a Challenger SRT Demon, you’ll need to move pretty quickly. 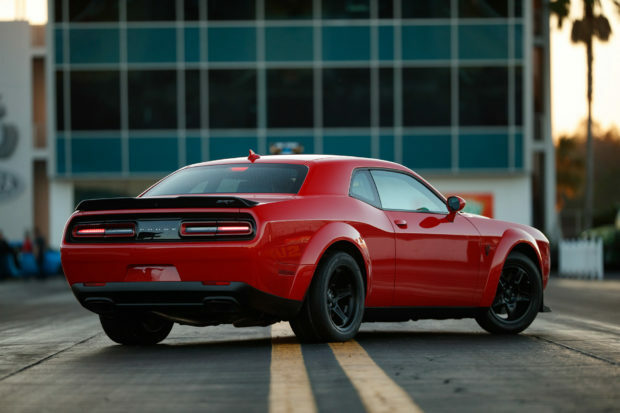 Dodge only plans on making it for a single model year, with just 3,000 to be made for the US, and 300 for Canada. No word yet on pricing, but Demon production is expected to start this Summer. Everyone who buys one will be treated to a full-day high-performance driving session at the Bob Bondurant School so they can learn how not to kill themselves with it.